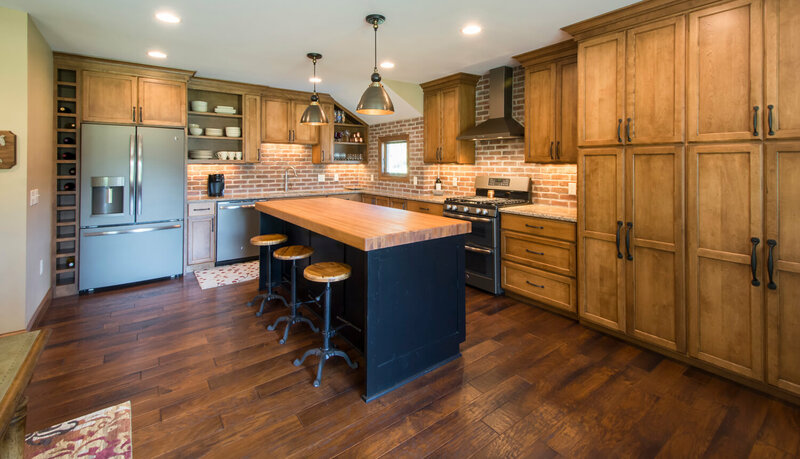 The land surrounding this 100 year old plantation style home initially made up for its limiting design and outdated finishes. 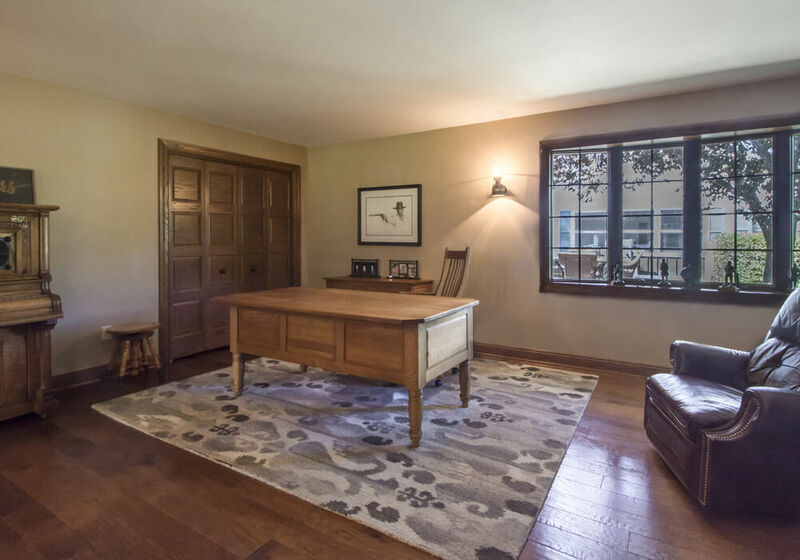 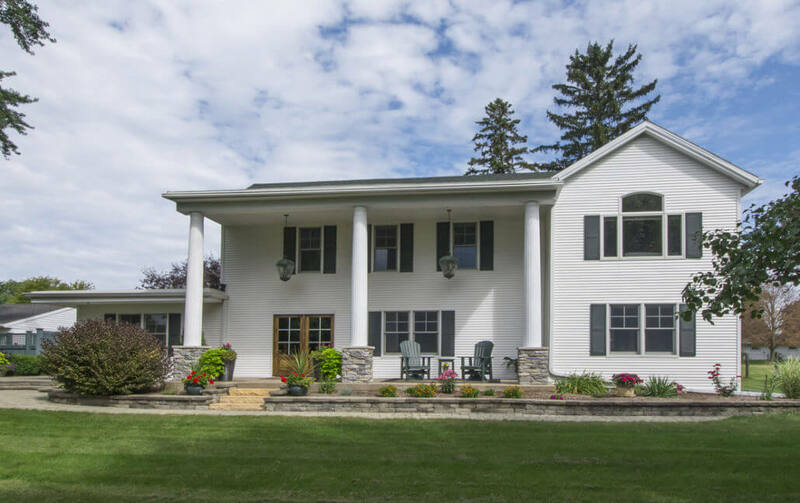 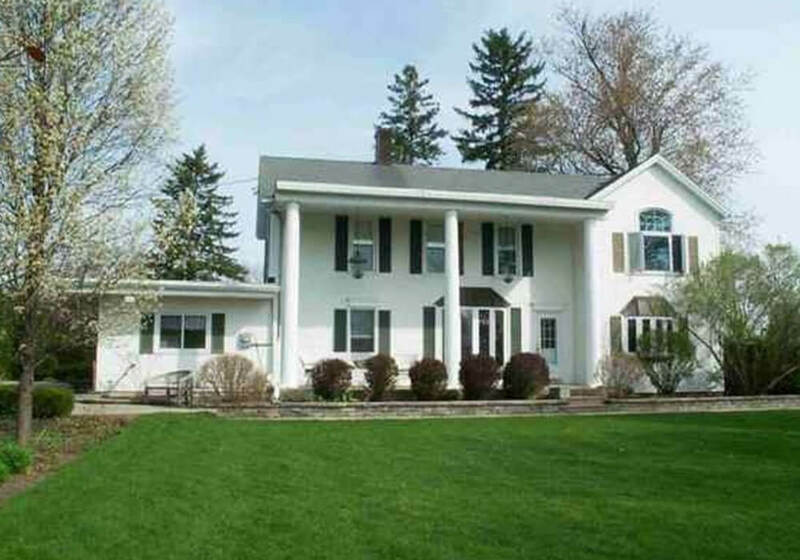 But two years after purchasing it, the owners contracted with Vive Home Transformations for a whole home renovation of the Wisconsin colonial in anticipation of their impending retirement and to better fit their farmhouse lifestyle. 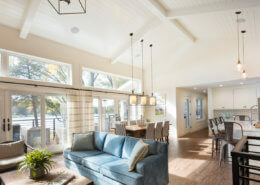 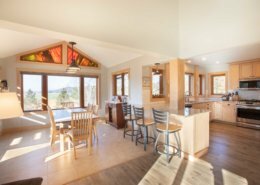 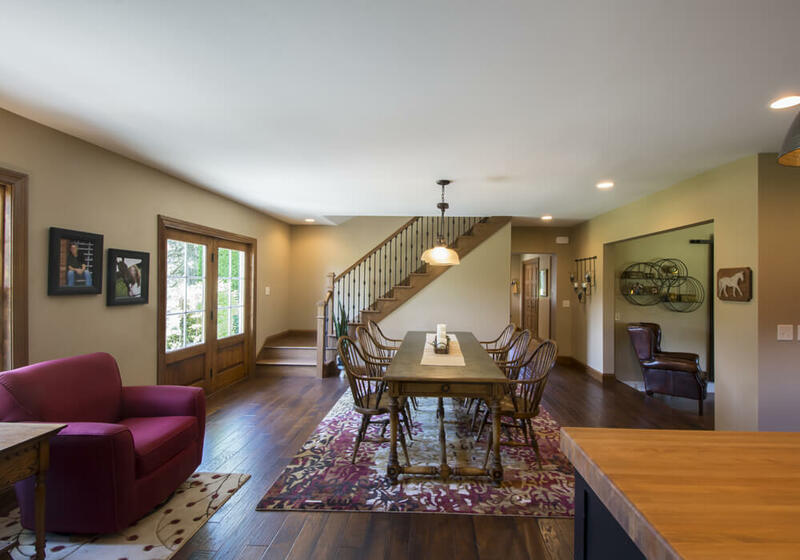 Vive’s home renovation transformed its look, feel and function, and will allow the owners to age in place. 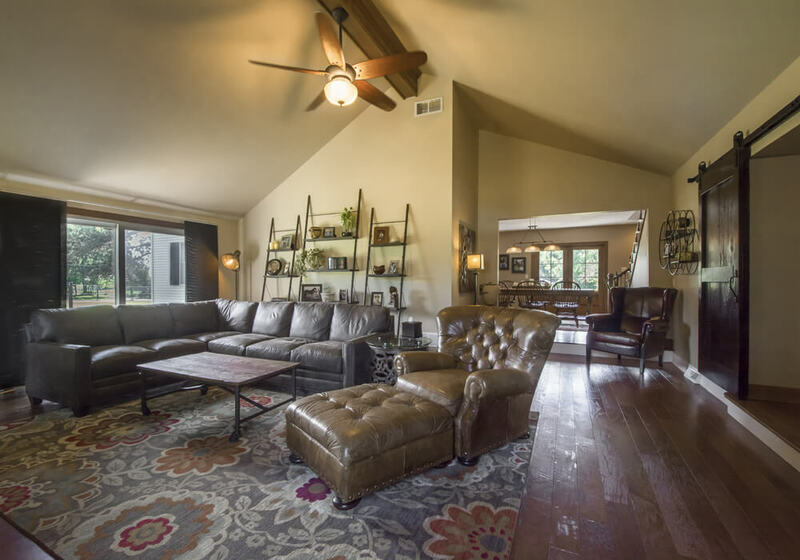 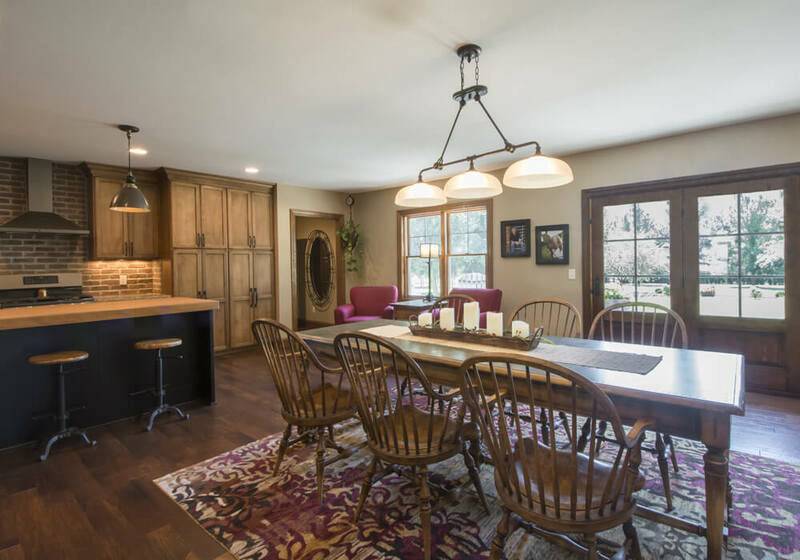 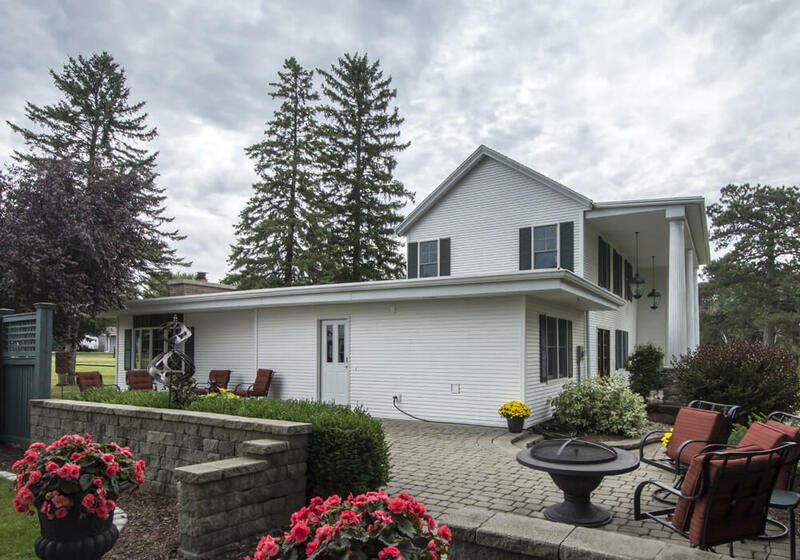 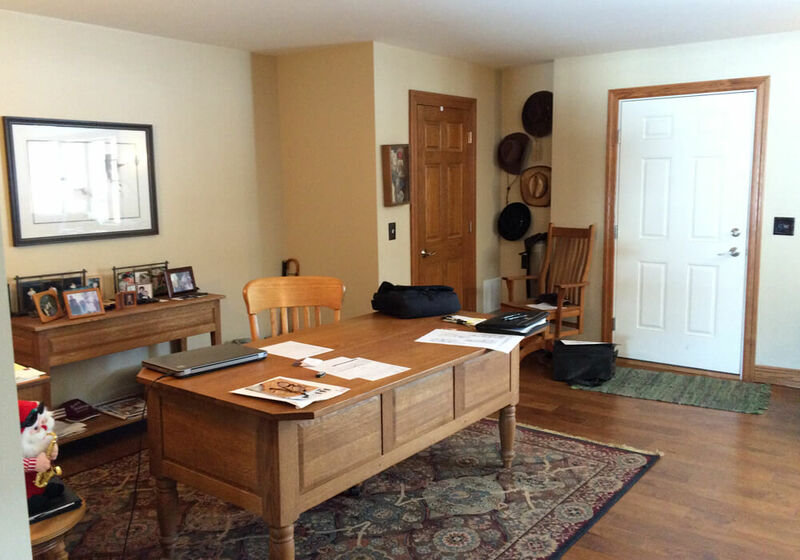 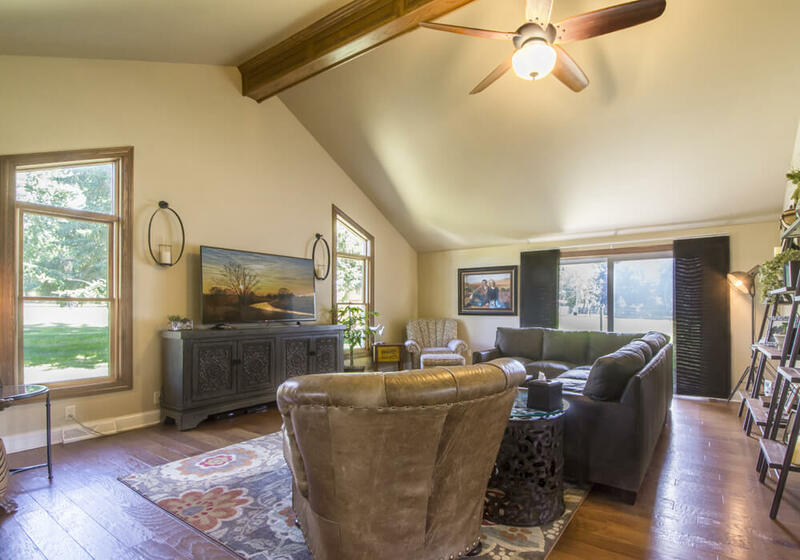 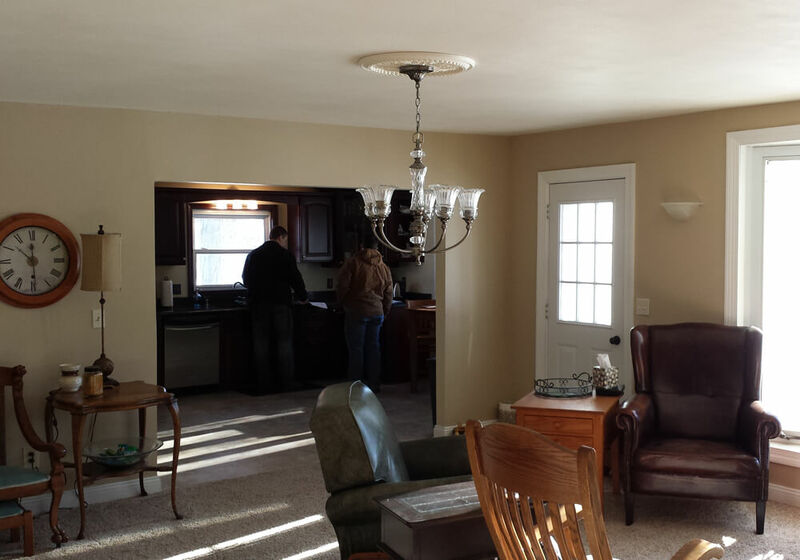 The Madison area home renovation maintained its original character while significantly re-orienting the layout. 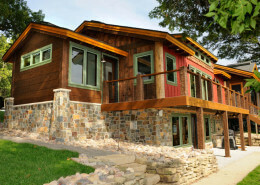 On the exterior, Vive relocated the front door, added a third column, and replaced the wood column bases with stone. 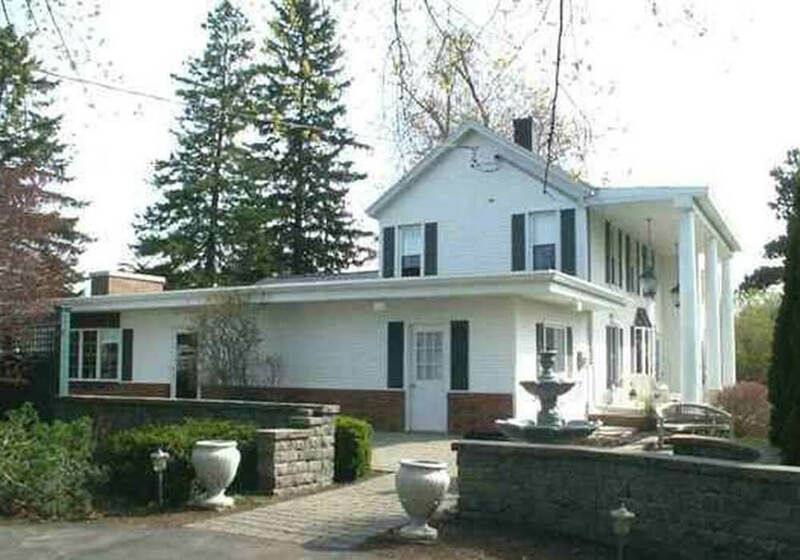 Two side entries were consolidated into one, and curb appeal was improved with existing landscaping. 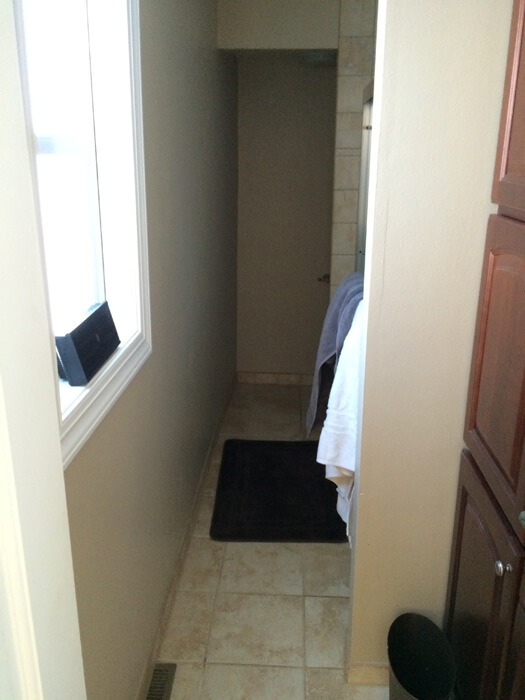 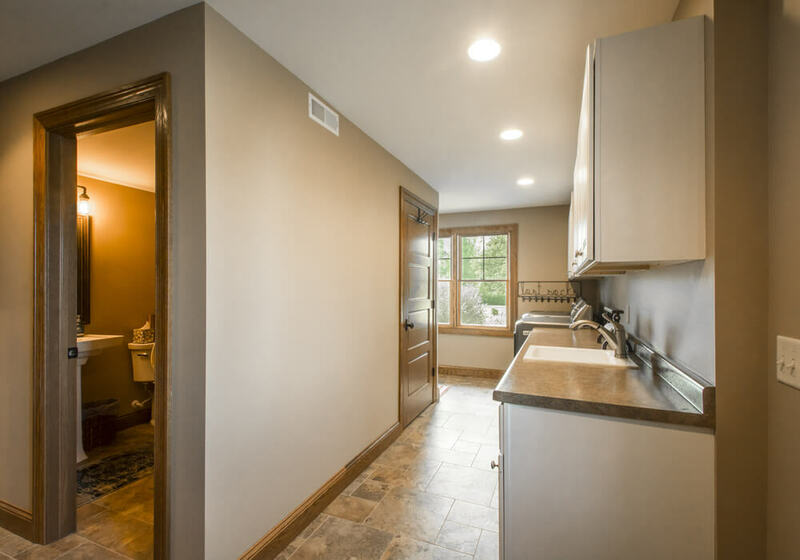 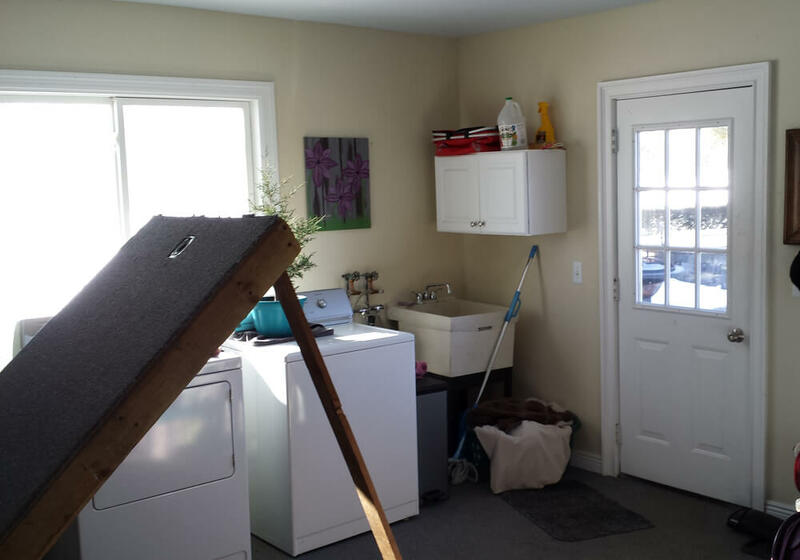 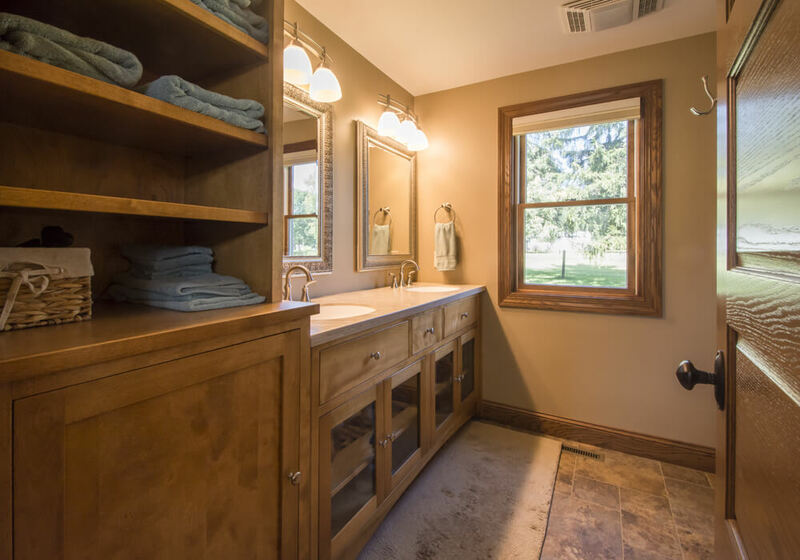 Inside, Vive redesigned the laundry room, replaced a hatch door to the basement with a standard doorway, added a powder room and created a mudroom by re-orienting an existing office. 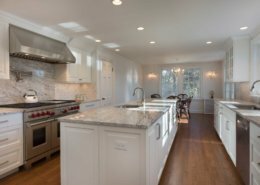 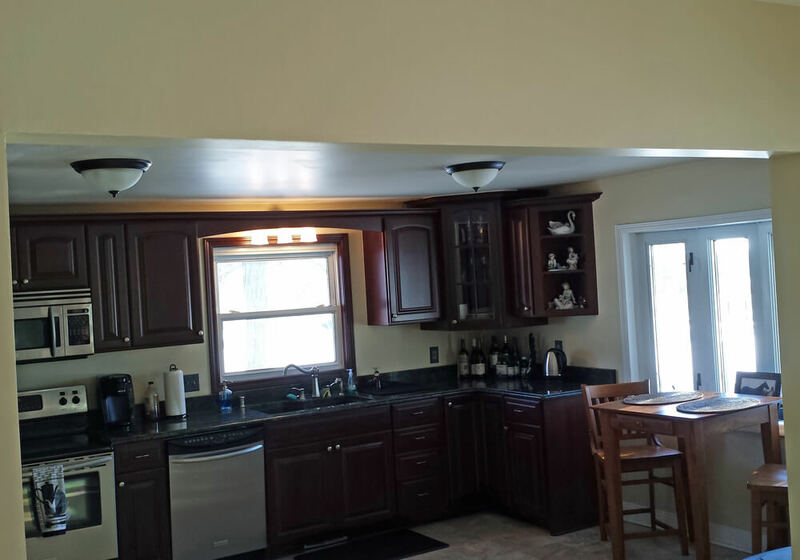 The existing kitchen and bathroom were transformed into a new first floor master suite; the staircase was relocated; and a portion of the family room, living room and one bedroom were transformed into a more central kitchen, new formal dining room, and more accessible and welcoming foyer. 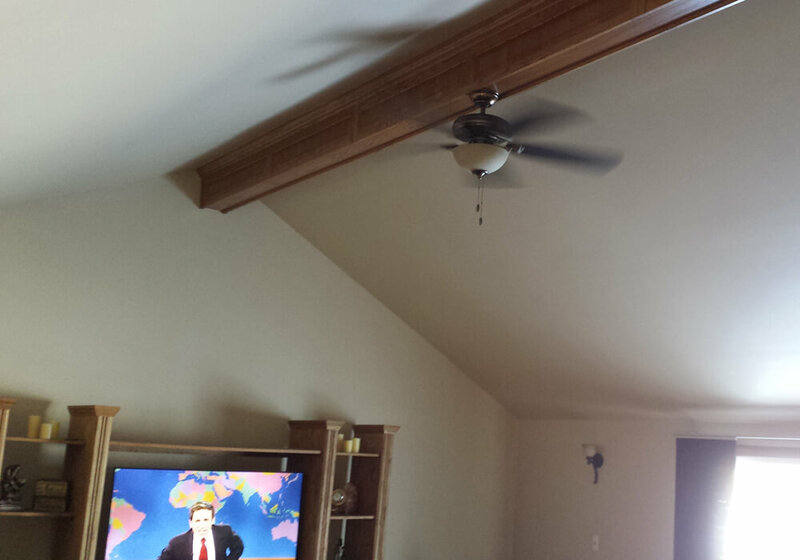 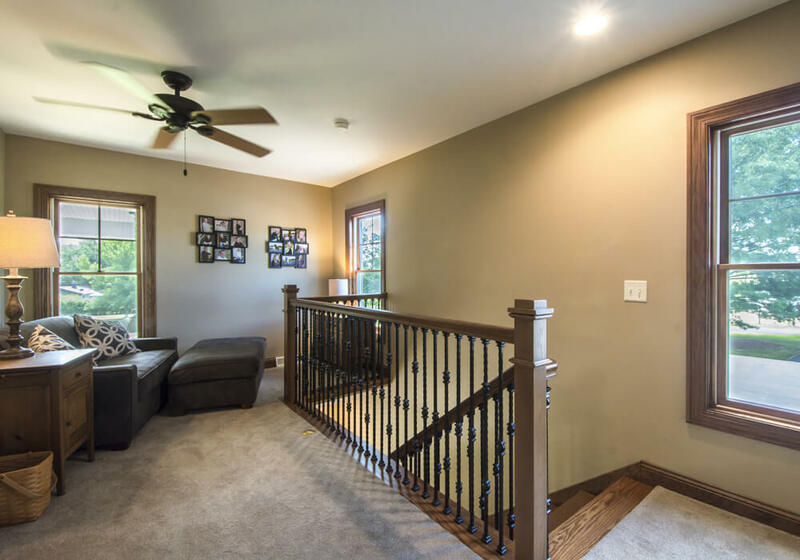 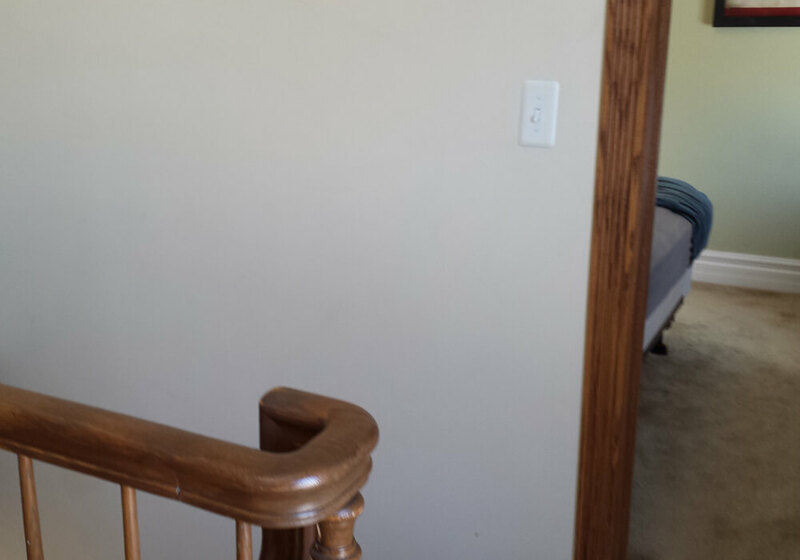 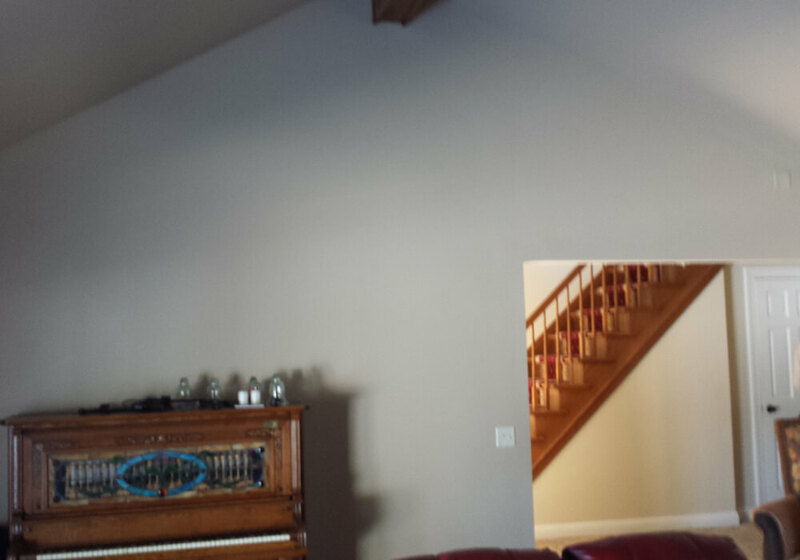 A portion of a second floor bedroom was used to create a lounge area on the staircase landing. 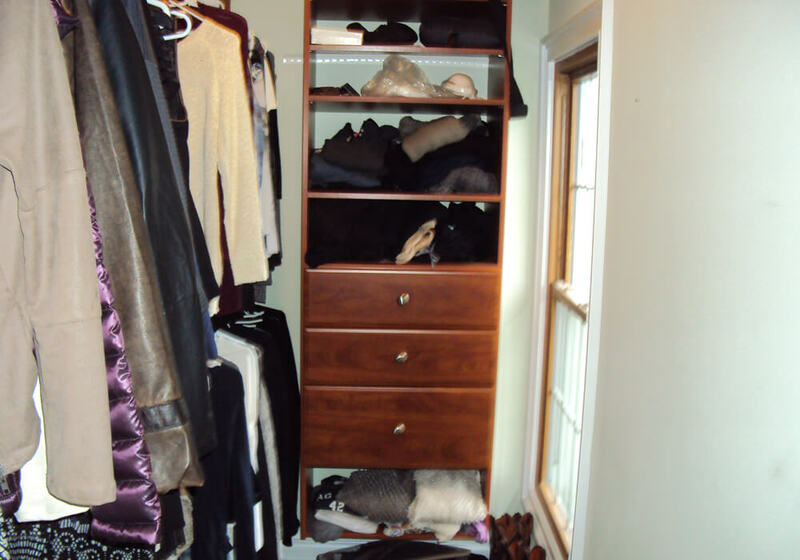 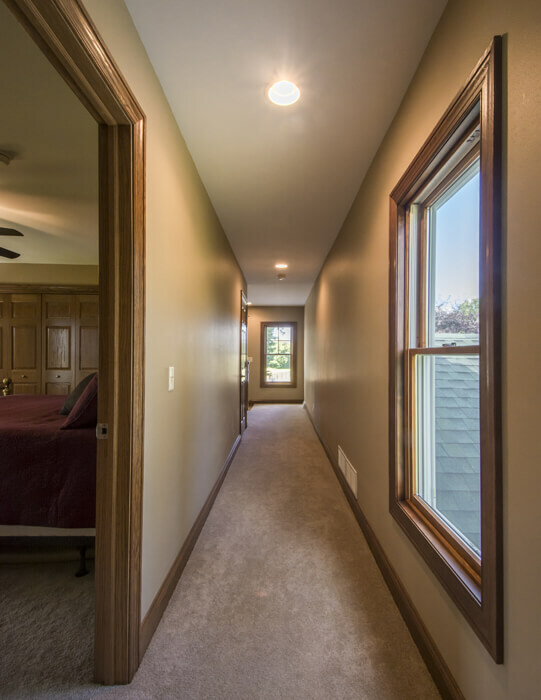 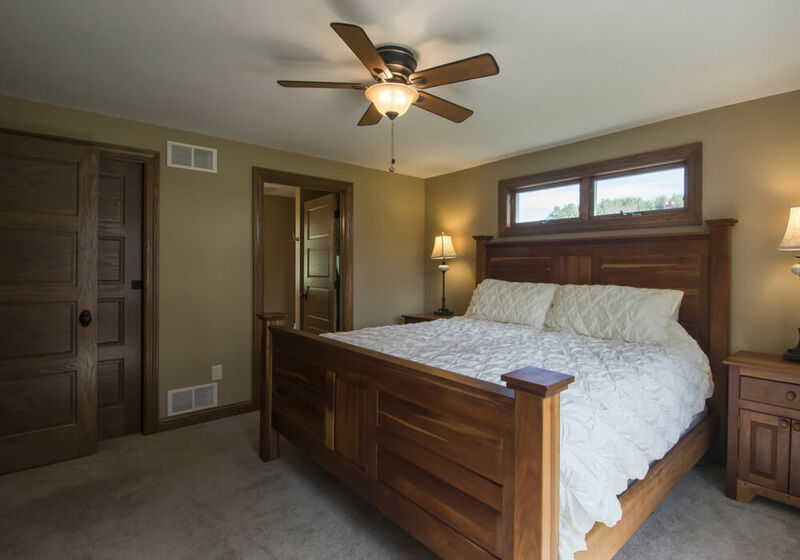 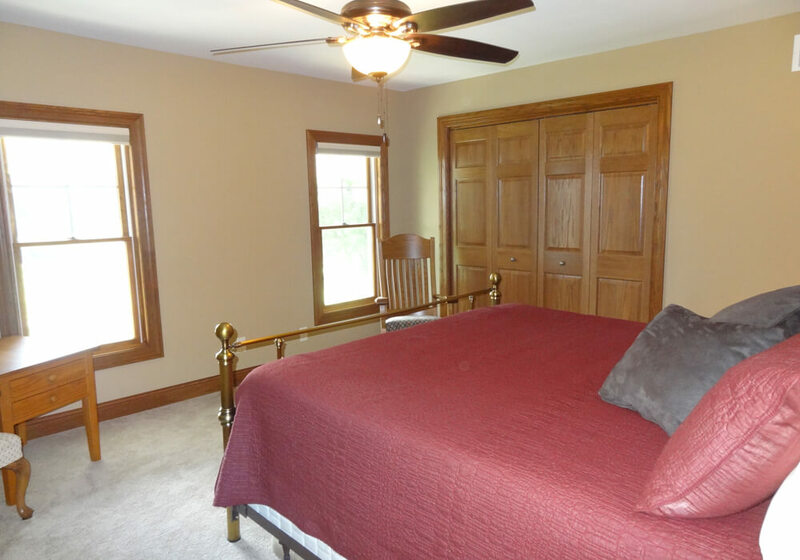 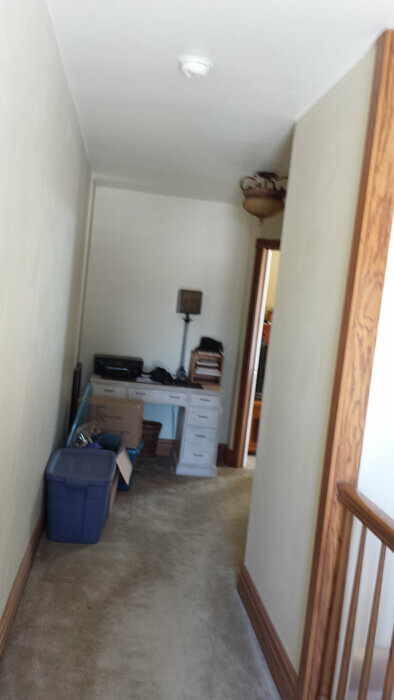 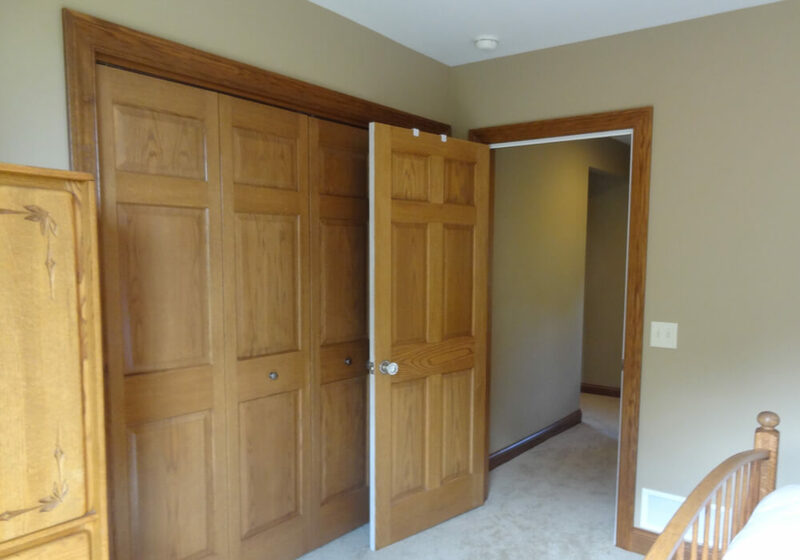 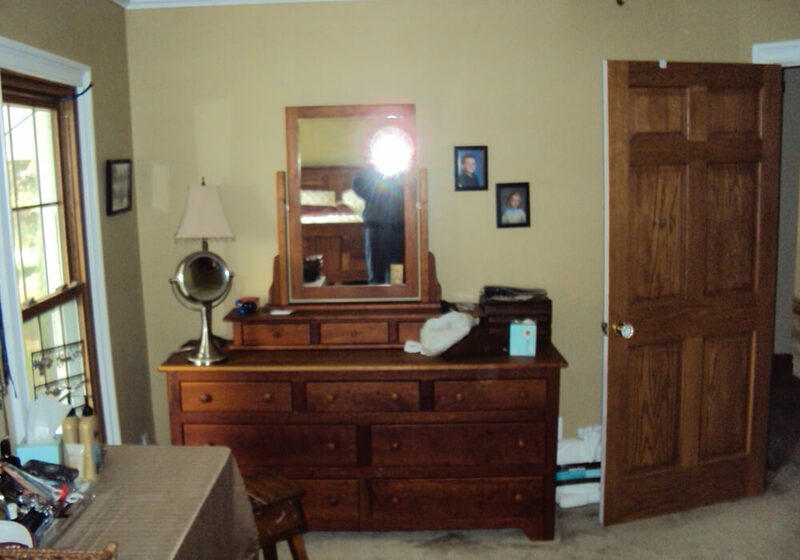 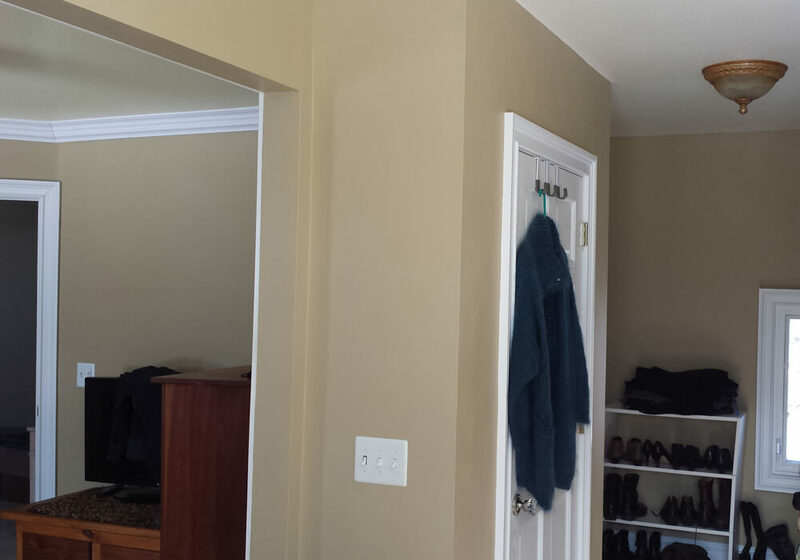 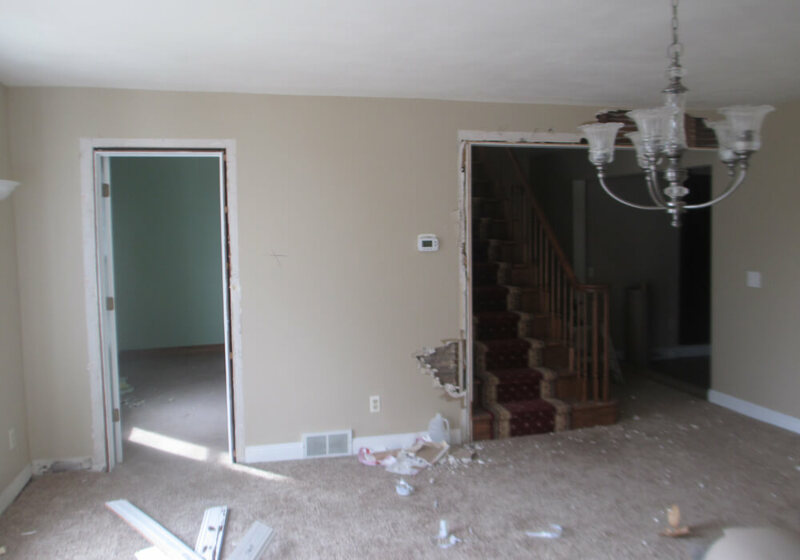 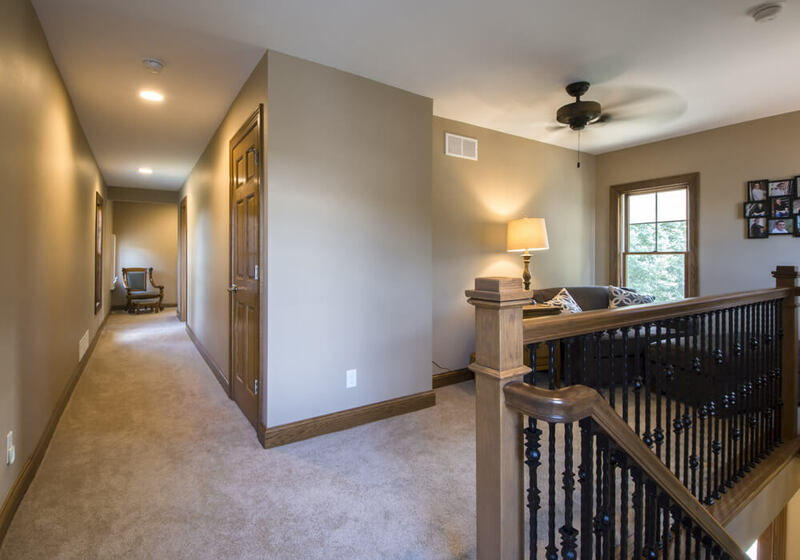 The remaining portion of the bedroom and the master bedroom sitting room were used to create a larger, more functional bedroom, and the existing master closet and hallway were re-oriented.